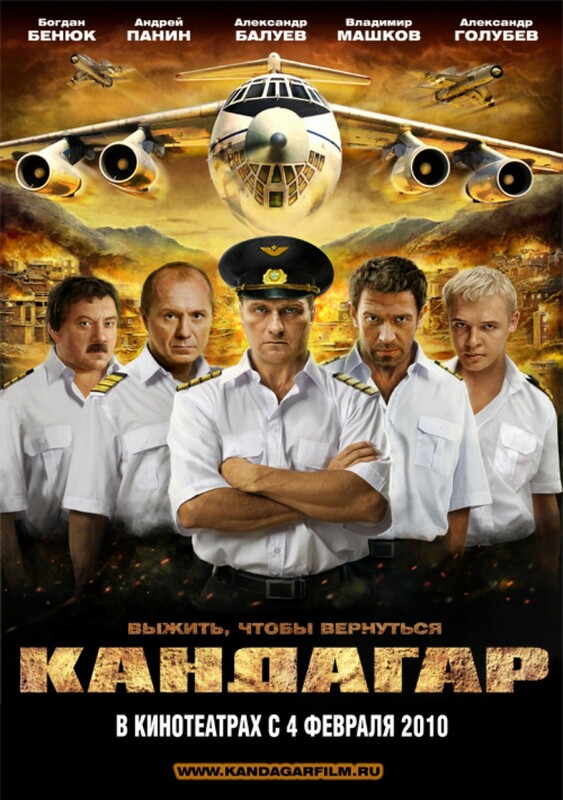 Kandahar (Кандагар; called The Crew in its English-language release) is a 2010 Russian drama. It takes place in 1995, unsurprisingly in Kandahar, a city in Afghanistan, several years after the withdrawal of Soviet troops after the end of the Soviet–Afghan War. The film is based on true events—the Airstan Incident. The film hewed pretty closely to the real story, at least in terms of plot. 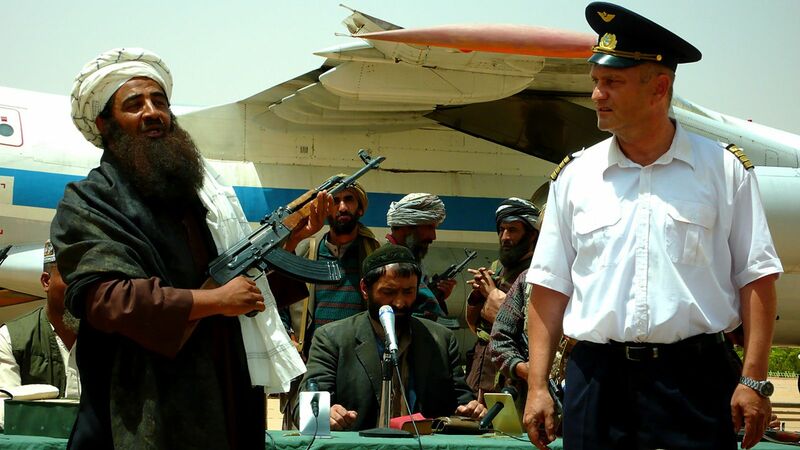 At the beginning of the film, a Russian cargo plane carrying humanitarian aid is forced to land in Kandahar, which at the time was under Taliban control. The crew of the plane is taken prisoner by the Taliban. At first they are sure that Russia will rescue them immediately, but no help is forthcoming, and they are forced to come up with their own escape plan. The film got decent reviews and was nominated for four Golden Eagles, including for Best Film, Best Male Role (Aleksandr Baluev, Александр Балуев), and Best Male Supporting Role (both Vladimir Mashkov, Владимир Машков, and Andrey Panin, Андрей Панин). Baluev is an extremely prolific Soviet and Russian actor of both stage and screen who has played a wide variety of roles, though he has played a particularly large number of military roles. He also appeared briefly in the American film Proof of Life. The film was noted for its patriotism—despite the poor view it gave of Russian diplomacy—but one major criticism was that the film excised two non-ethnically-Russian participants in the real-life events, Gazinur Khairullin (Газинур Хайруллин) and Askhat Abbyazov (Ашхат Аббязов).